Raspberry Pi Control is a more advanced app that allows you to control more features of the Raspberry Pi. 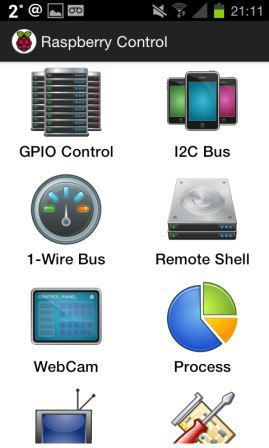 These range from GPIO control, WebCam access, processes and many more. The installation is more complex than the other apps however, this is outweighed by the more advanced features. The setup involves downloading a library onto your Raspberry Pi and installing the various files. 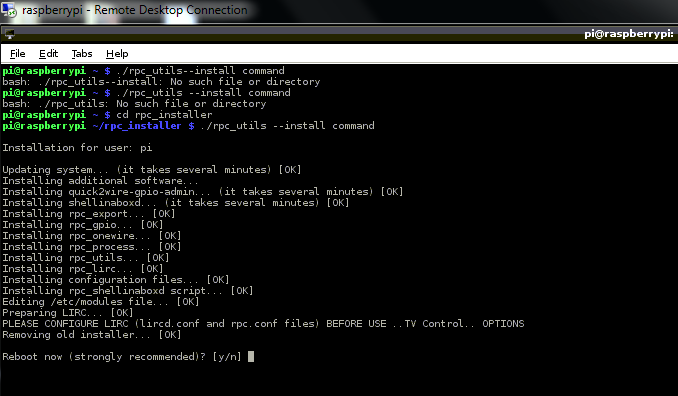 To get started update the OS software, then download the rpc_installer file from the Raspberry Control Software site. The file below is a version form December 21st 2013, it may have been updated since then so it is worth checking the website, click here. 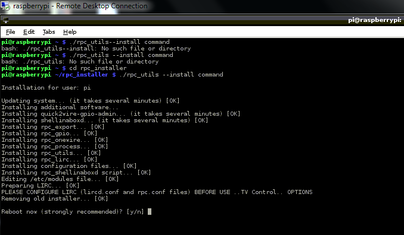 After installation the Raspberry Pi will request to restart. 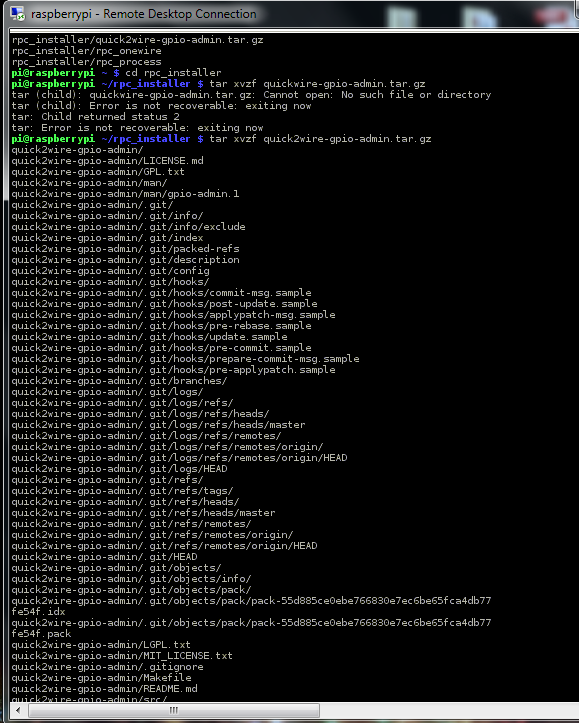 As with all the other Android Apps you will be required to enter the IP address and login details of your Raspberry Pi. Enjoy. Once the Raspberry Pi has rebooted connect via the USB and wire, the Android device to the Raspberry Pi. Enable the USB tethering feature in the device settings. Then launch the VX ConnectBot App on your device. Enter the following host address pi@192.168.42.42 and connect to the Raspberry Pi. 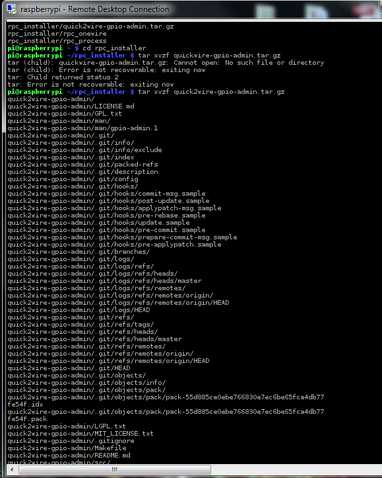 This will create a Secure Sell Connection to the Raspberry Pi which enables you to send command line script. You now have a portable screen and connection to your Raspberry Pi. Using the GPIO and a green LED contacted at Pins 7 and 25, then using the GPIO controller you can turn the LED On and Off. This can be modified to turn lights, motors on or even control doors!